With Valentine’s Day right around the corner, you’ll probably be trying to find the perfect place to spend an evening with your loved one. 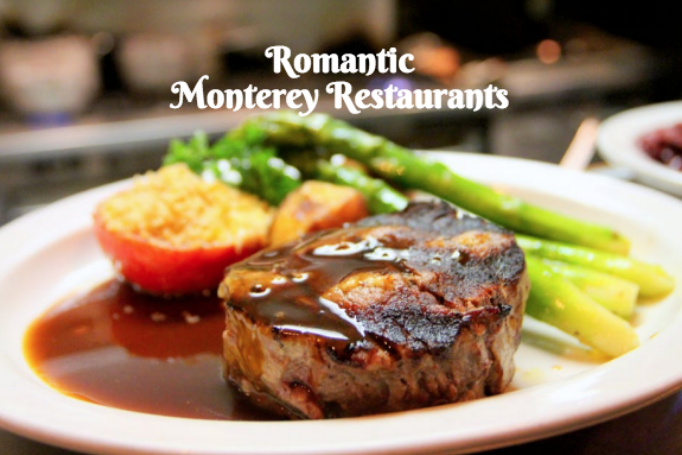 Consider some of these romantic restaurants in the Monterey Bay area. What’s more romantic than sharing a dinner at a restaurant that overlooks Lovers Point Beach? At Beach House at Lovers Point, you’ll be treated to a romantic night amidst an open and airy modern style restaurant serving up Californian inspired cuisine. The restaurant does a great job of mixing stellar service with a laid back and casual ambiance. Try for a table that overlooks the water, you won’t regret it! If you love seafood, consider dining at the C Restaurant + bar located right on Cannery Row along the Monterey bay. When you walk into the restaurant, you’ll be greeted floor to ceiling windows that overlook the bay. The result is stunning and dramatic views of the Pacific Ocean, especially at sunset. There is also an outdoor patio where guests can enjoy plush seating, fire lamps and a fireplace. Wherever you sit, it will sure to be a romantic and elegant experience. Also on Cannery Row, you’ll find Schooners Coastal Kitchen & Bar. This is an elegant venue that is sure to impress any Valentine's Day Date. Here, enjoy modern American fare highlighting local seafood. This beach side restaurant also offer primes view of the Monterey Coastline. Choose from indoor or outdoor seating though with large French doors that open up to the outdoors, you’ll still enjoy that Ocean breeze whether you’re sitting inside or out. Be sure to pair your dinner with one of their excellent bottles of wine. For an Asian inspired seafood restaurant with sushi, PassionFish is the place to be. This airy, bi-level space is an excellent choice if you’re looking to take your date on a classy night out. Enjoy delicious appetizers such as the fried California Squid, and entrees such as the Alaskan Halibut, Duck Confit or the Lamb breast. Be sure to save room for dessert! You’ll find this restaurant at 701 Lighthouse Ave. in Pacific Grove. Love Running? Join the Big Sur International Marathon! 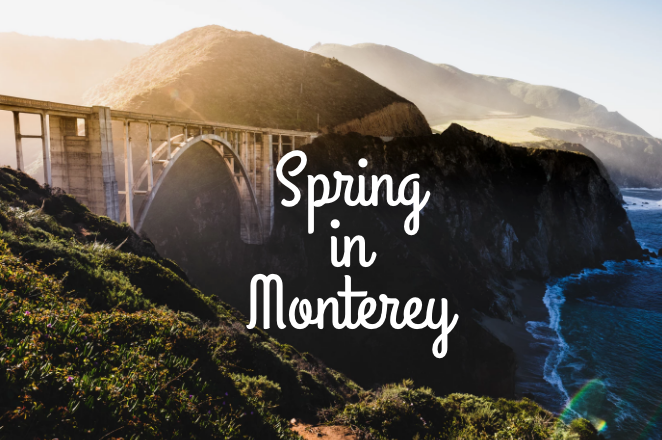 Monterey & Beautiful Sightseeing Tours Go Hand In Hand! 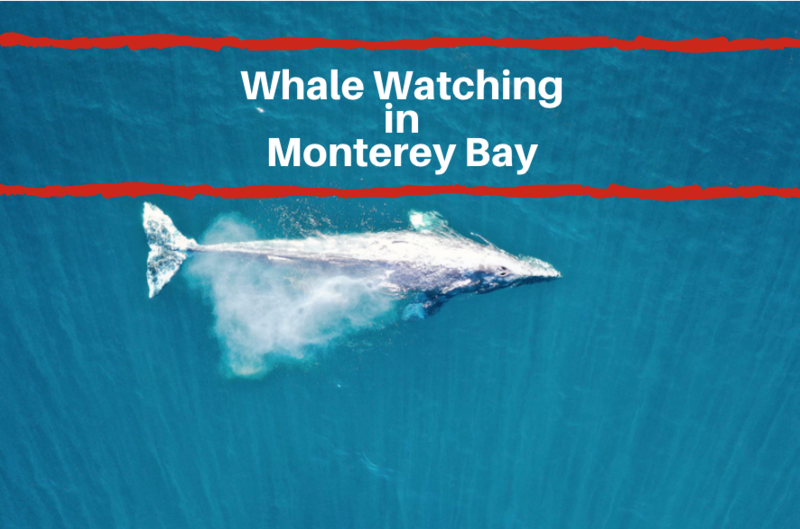 Monterey is the perfect destination for Valentine's Day! 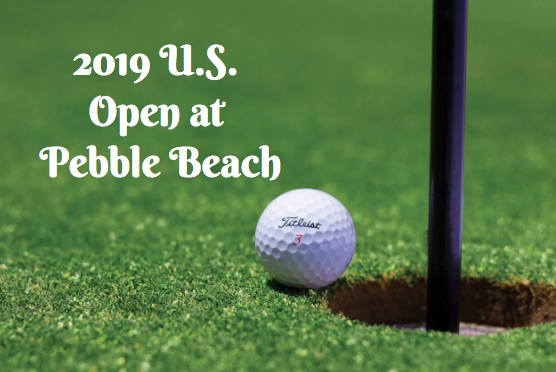 Don’t Miss the Pebble Beach Pro Am Golf Tournament in Monterey! Run Along the Monterey Coast during the Big Sur Half Marathon! See the Best Aquatic Sports Competitors in Action at the Monterey Beach Sportsfest! The Superbike World Championship is coming to the Mazda Raceway! Enjoy Bacon at its Best at the Monterey BaconFest 2015! The Continental Tire Monterey Grand Prix Returns this May! Treat your Taste Buds to the Castroville Artichoke Food & Wine Festival! The Pebble Beach Food and Wine Event Returns to Monterey! Celebrities Golf for Charity at the 2015 Pebble Beach National Pro-Am! Enjoy Festive Family Time at First Night Monterey! Experience the Best of Monterey at the Big Sur Food and Wine Festival! Race on Down to the Big Sur Half Marathon at Monterey Bay! Sprint to Adrenaline Pumping Races at the SCCA National Championship Runoffs! Be a Part of the Exciting Italian Culture at the Festa Italia’s Santa Rosalia Fisherman’s Festival! Pick up the Tempo at the Exciting Monterey Americana Festival! Have Some Sizzlin’ Summertime Fun at the Blues Brews & Barbecue! Race Your Way to the Ferrari Challenge Event! Attend the Sea Changes ACT Opening Reception at the Museum of Monterey! Attend the At&t Pebble Beach Pro Am! Don't Miss the FIM Superbike World Championship! Attend the Continental Tire Sports Car Festival! Enjoy Music & More at the Monterey Bay Reggae Festival! Race Over to the Red Bull U.S. Grand Prix!